Domesday Book is a statistical survey of England in 1086 A.D. it is a census of the population and productive resources of the country, of their value and of who held them. It was unmatched in Europe for many centuries, the product of a sophisticated and experienced English administration, fully exploited by the Conqueror's commanding energy. Its name is known to everyone - and everyone can now have access to its text, and, within the limitations of contemporary scholarship, its meaning. It is difficult to exaggerate the important to local historians and archaeologists of the availability of a cheap edition of this fundamental source, for the first time in 900 years. 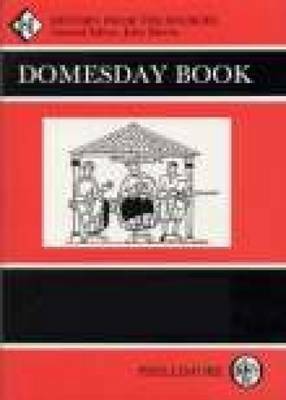 The Domesday Survey was arranged by counties, or shires, and so is the Domesday Book Series. These are the ancient counties that survived with little change until 1974.